Andrea G. Miller-Jones is a partner in the Newark office of Lewis Brisbois, and a member of the Long-Term Care & Elder Law Practice. Ms. Miller-Jones focuses her practice on long-term care and medical malpractice defense litigation on behalf of physicians, hospitals, nurses, CNAs, PAs, long-term care facilities, and other medical providers. Admitted to the New Jersey Bar in 1998, Ms. Miller-Jones has extensive experience defending high exposure medical liability cases involving a variety of medical specialties, including Anesthesiology, Obstetrics & Gynecology, Gastroenterology, Oncology, Cardiology, Surgery, Nursing, Orthopedics, Ophthalmology, ENT, Physiatry, Emergency Medicine, Critical Care, Internal Medicine, Family Medicine, Psychology, Podiatry, Neurology, Radiology, Urology, and Long-term care, among numerous others. Ms. Miller-Jones has first-chair trial experience, has defended cases in both State and Federal courts, and has extensive experience negotiating and effectuating favorable settlements in these areas. 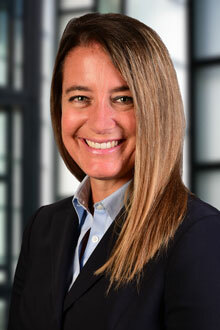 Ms. Miller-Jones also has experience defending fall-down cases and with the defense of commercial bus lines, including Academy, NJ Transit, and Coach USA. Ms. Miller-Jones serves on the Board of the New Jersey Chapter of the National Cervical Cancer Coalition, and remains actively involved with Goals for Life, Inc., an Essex County grass-roots organization formed to raise funds for and bring awareness to breast cancer and other women's health issues through soccer.